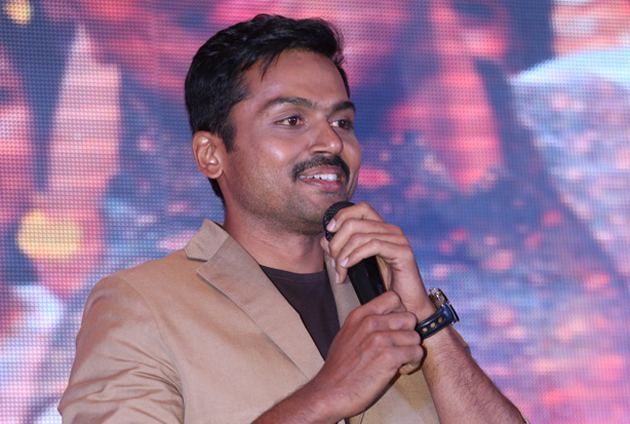 Hero Karthi is excited about his character in 'Cheliya' directed by Mani Ratnam. He is saying that the role of fighter in this movie is not an ordinary ... and he is surprised that Mani Ratnam chose him for that role. Karthi said that a hero like Leonardo DiCaprio should have done this role. If the same role has to be done by an Indian actor ... it must be his brother Suriya. But he said, he's lucky to have made this character. "Mani Sr. wrote this character wonderfully. He designed the character of the pilot after doing a thorough research. When I heard about the character for the first time, I thought I could not do it. I was not ready to do the character immediately. Understand the character, met several Air Force officers, are really wonderful people, I have known how much they are doing for the country after meeting them. " "If I show 10% of them on the screen, I feel that I have achieved so much. I have made a rough character in the context of the village in 'Paruthiveeran'.This was the very hard character for me because I was working as a Software in the United States earlier. This role of fighter pilot in this movie is the most challenging and different character for me after "Paruthiveeran." I will be "indebted to Mr. Mani for offering me such a role."